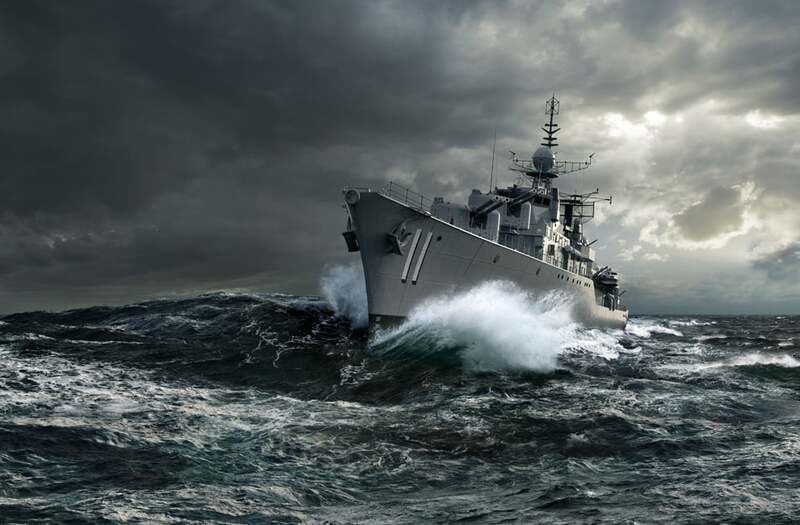 These impressive images were created for the Australian National Maritime Museumâ€™s new exhibition - â€˜Action Stationsâ€™. The entire 3D department was involved, and the first step in the process was a trip to the museum to photograph the ship and submarine to ensure they captured all the fine details that needed to be created. All the elements above deck were modelled and textured individually and then combined with the shipâ€™s hull, using photography and blueprints as reference to ensure the correct scale and placement. 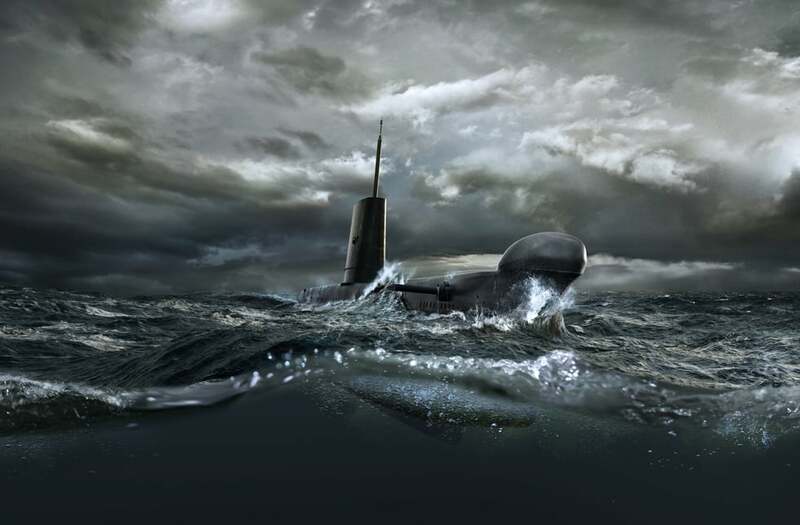 Once the 3D models were rendered they were inserted into a dramatic background created from a combination of 3D water and stock images. They were bedded in with additional waves, spray, foam and lighting.